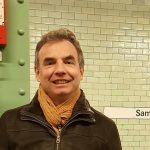 Martin Giard is a senior researcher at IRAP (Research Institute for Astrophysics and Planetology) – Paul Sabatier University (Toulouse), and was IRAP director for 4 years between 2011 and 2015. His work is focused on space observation in the infra-red domain, and he is particularly interested in the observation of the remote Universe, aiming to understand the formation of stars and galaxies. He worked several years on the Planck mission as Co-Principal Investigator of one of the instruments, and is also involved at high level in research organisation in France, since he is scientific delegate for space affairs for the National Institute of Universe Sciences. His presentation during the SpaceUp Toulouse 2017 will be focused on his experience in the field of space astrophysics, and how it can help us to better understand our Universe: “Space astrophysics : a window on the origins of our Universe”.